You may have visions of spending your retirement on a sun-soaked vineyard in wine country. But according to a September 2018 report by the National Institute on Retirement Security (NIRS), more than 100 million working-age Americans (57%) do not have retirement account assets. 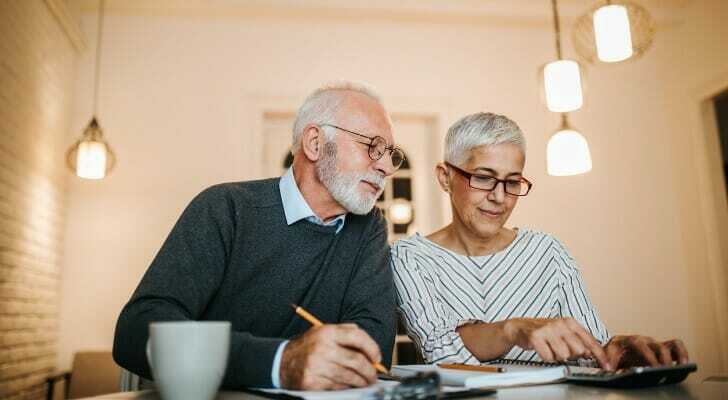 And even if you do save, the same study found that a whopping 68% of individuals between the ages of 55-64 have only less than one year’s worth of their annual income tucked away for retirement. If you find that you’re one of these individuals, it might be time to reassess. Here’s how you can live a frugal retirement. Financial experts have long touted a successful budget as one of the most powerful financial tools in your arsenal. And with the average monthly Social Security benefit for retirees at just $1,461, you may have to adopt a more frugal budget in retirement. Regardless of how much you earn, keeping track of your spending, giving each dollar a “job” and spending less than you bring in are all good financial practices. Your biggest monthly expenses in retirement will likely be healthcare and housing costs, along with travel and transportation. Keep your other costs low to help offset these. While you will likely be enrolled in Medicare as a retiree (it kicks in at age 65), it doesn’t cover everything. One report estimated that retirees will need $280,000 to cover medical expenses throughout the duration of their retirement. That same report also found that almost half of retirees polled thought they would need less than $100,000 to cover medical care in retirement. Help curtail these estimated costs by making healthy choices before retirement. Make a point to exercise, eat healthily and take care of any nagging injuries or issues. Once you do retire, be realistic about any long-term issues or illnesses you might have to deal with — and factor them into your budget. Other money-saving strategies include opening a health savings account (HSA) if you are enrolled in a high deductible health plan. Purchasing long-term care insurance may also be a good financial move. Paying off your mortgage before you retire is a great way to live frugally in retirement. After all, roughly one-third of retirees’ spending goes toward housing costs, according to the Social Security Office of Retirement and Disability Policy. This makes retirement an opportune time to downsize your living situation. Consider selling your home and moving to a smaller house or condo. You’ll save money on property taxes, maintenance and utilities. If you’re still a two-car family, retirement is the perfect time to whittle that down to one, since it will save money on gas, insurance and maintenance. It may feel as though you have unlimited funds as a retiree, especially if your retirement account boasts a healthy balance. But don’t fall into the trap of spending whatever you want, whenever you want. Instead, give yourself a set paycheck monthly or biweekly. This can help you continue to stick to your budget, even in retirement. With better global life expectancy statistics nowadays, that’s all the more reason to pace yourself. Living in an area with a high cost of living will also eat into your retirement savings. Consider moving to an area with a lower cost of living to help stretch your post-retirement dollar. The AARP suggests cities like Portland, Maine; Gainesville, Georgia; and Tulsa, Oklahoma as some affordable options. Henderson, Nevada; Mesa, Arizona; and Pittsburgh, Pennsylvania, may be places to look at if you’re considering an early retirement. If you’re feeling adventurous, try moving abroad to a country that still allows you a relatively lower cost of living. Some of the cheapest countries to retire are Portugal, Malaysia and Spain, all of which boast both affordability and safety. The average American between the ages of 65-74 spends $2,769 annually eating out, while those age 75 and up spend about $2,142, according to information from the Bureau of Labor Statistics. So if you need to cut costs, you may need to cull dining out from your retirement budget. This is probably something you’ll want to do check off your list before retirement. After all, financial advisors can help you ensure you’re on track to meet your long-term financial goals. But it’s not too late if you’re already retired or nearing retirement age. 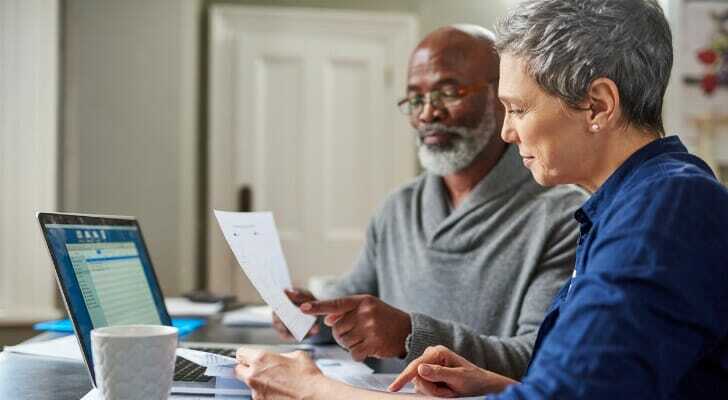 Consider hiring a financial advisor for a one-time meeting to help you decide when to file for Social Security, how to structure retirement account withdrawals and, more importantly, if you’re really financially ready to retire. Once you retire, life insurance may not be necessary. Here’s why: Life insurance is intended to serve as a stopgap measure to help financially support your dependents and maintain their lifestyle in the event of your passing. In short, its purpose is to match your income. But if you’re living on your retirement savings — or other retirement income, like Social Security — you may not need to have a life insurance policy in place. While receiving the dreaded AARP mailer or being asked “Senior discount?” by a well-meaning store clerk can be mortifying, these discounts can help shave precious dollars off your bottom line. Hundreds of restaurants, from Applebee’s to Dunkin’ Donuts to Uno Pizzeria and Grill, offer senior discounts. And that’s not to mention the discounts at grocery stores, retailers and even on travel expenses, like hotels, airline tickets and car rentals. Whoever said you had to stop working once you retire? Consider taking on a part-time job to make extra cash, or even put off retirement for a few years. You’d be in good company. The Bureau of Labor Statistics found that the number of workers aged 65 and older increased 101% from 1977 to 2007. While working a part-time job during retirement or putting off retirement altogether may not be on your shortlist of things to do once you hit 65, there are upsides. For one, experts have found that working longer may have certain health benefits. 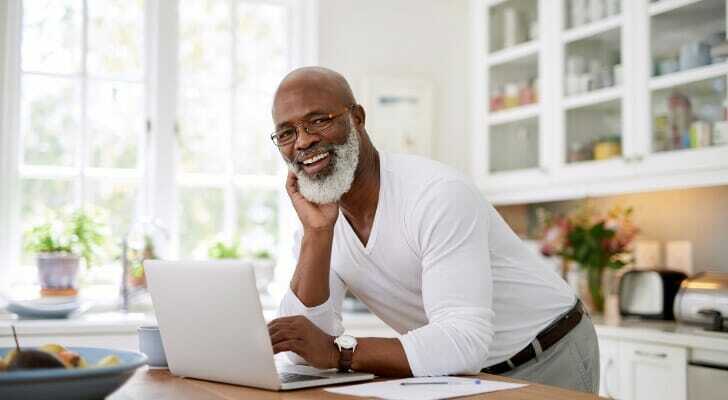 No matter what your situation is right now, it’s important to be realistic about whether your finances will allow you to retire comfortably, or at least keep the same standard of living. Whether you’ve already saved a sizable amount or are counting on Social Security, living on a fixed income during retirement might require you to limit your spending. All of the above tips can make the difficult task of coming up with a frugal retirement strategy easier. If you’re having a hard time culling your spending in retirement, consider talking to a financial advisor. Answer a few questions about your financial goals and our financial advisor matching tool can connect you with up to three advisors in your area. Once you’re matched, you can ask your advisors matches any questions you may have. One of the easiest ways to start saving for retirement is to take advantage of your company’s 401(k) plan, if it offers one. It’s especially worthwhile if your company offers an employer match. If you don’t have a 401(k) available to you, there are plenty of other retirement account options to consider. The post 10 Ways to Live Frugally in Retirement appeared first on SmartAsset Blog.